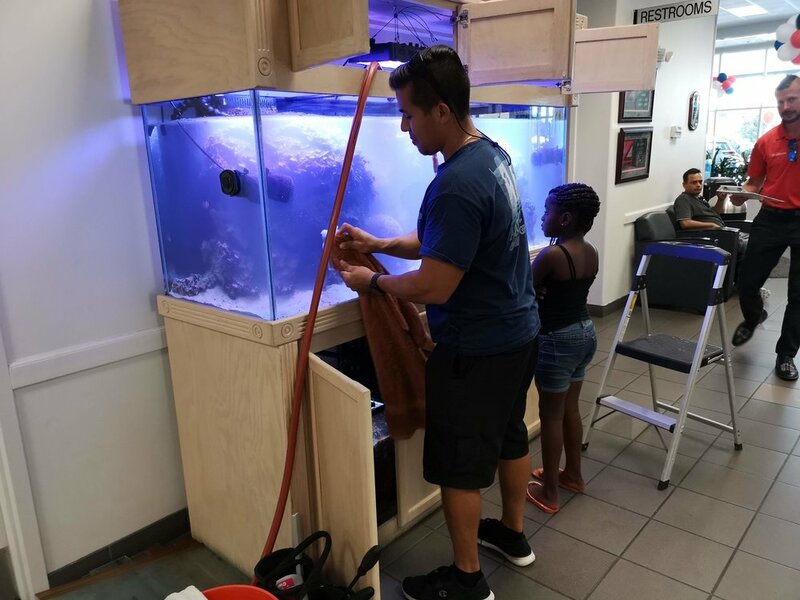 Whenever we take on a new service account, we like to help the client justify their decision by immediately making a huge impact on two things: the quality of life for their tank and the overall appearance of their displays. We want to “WOW!” both our client and their guests. Having amazing displays is in the best interest of both us and our service client. We want people to say, “Your tanks look great! Who maintains them?!" Sign up for one year of service and get a free aquarium setup!